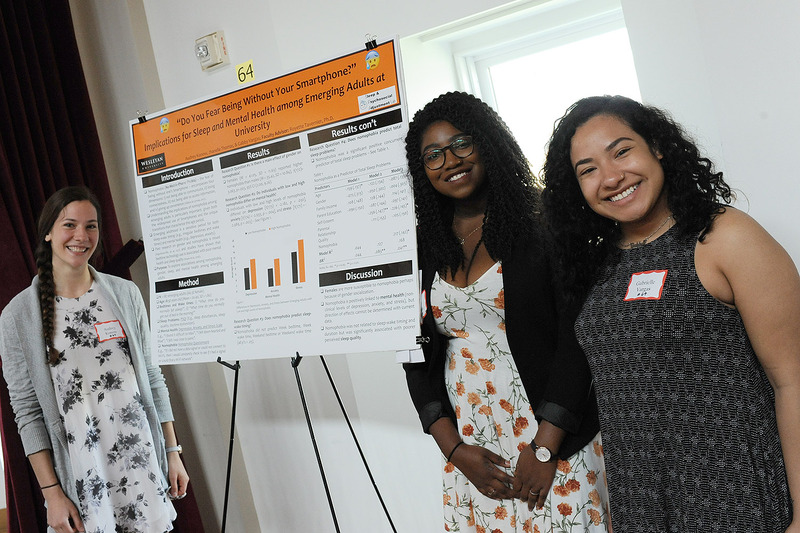 Audrey Konow ’20, Jhanelle Thomas ’18, and Gabrielle Vargas ’18 presented “’Do You Fear Being Without Your Smartphone?’ Implications for Sleep and Mental Health among Emerging Adults at University.” Their advisor is Royette Tavernier. 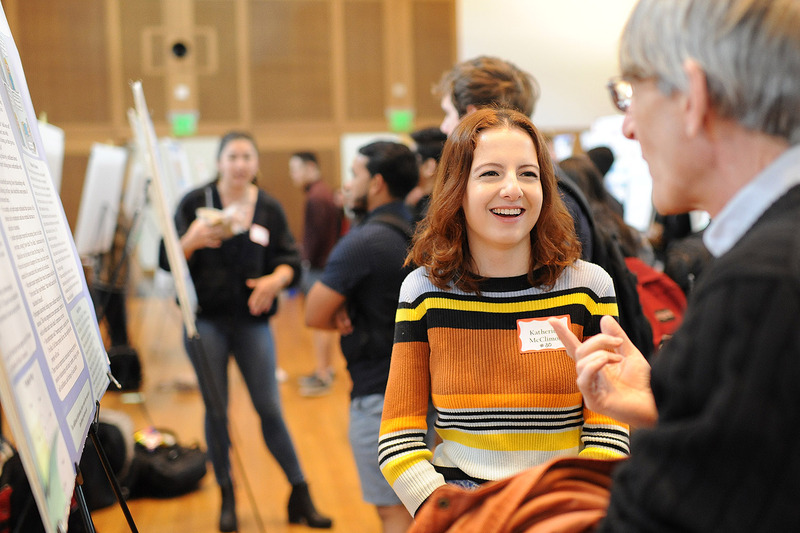 Lauren Conte ’18 presented “Mental Health Mediates the Relationship between High-Intensity Physical Activity and Daytime Dysfunction among Emerging Adults at University.” Conte’s advisor is Royette Tavernier. 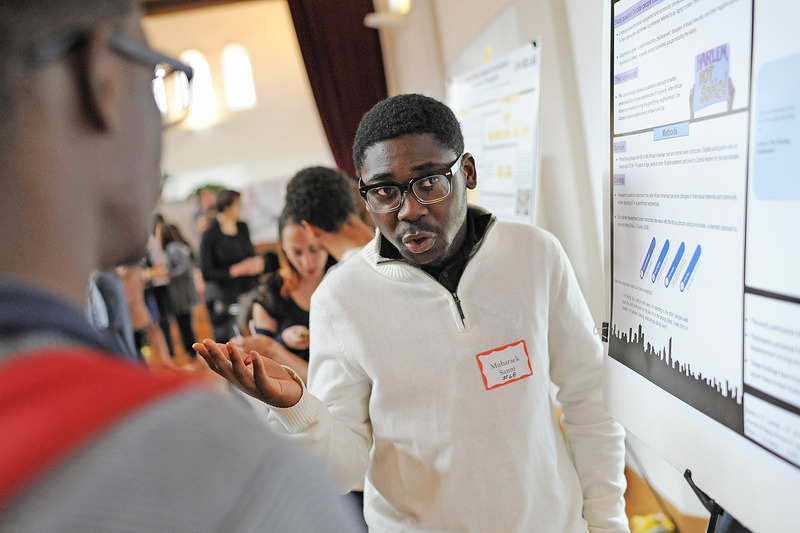 Mubarak Sanni ’20 shared his project titled “Aging in a Gentrifying Harlem.” His advisor is Shellae Versey. 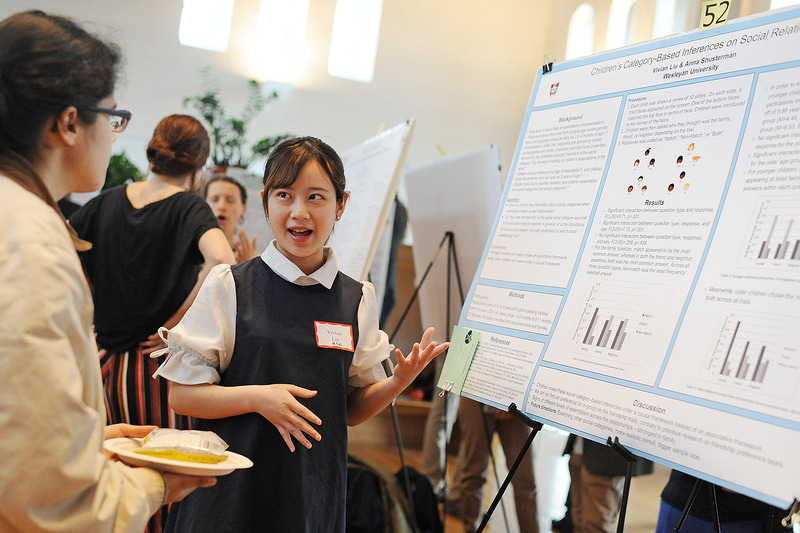 Vivian Liu ’18 researched “Children’s Use of Social Category Information in Predicting Social Relationships.” Her advisor is Anna Shusterman. 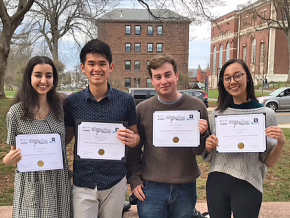 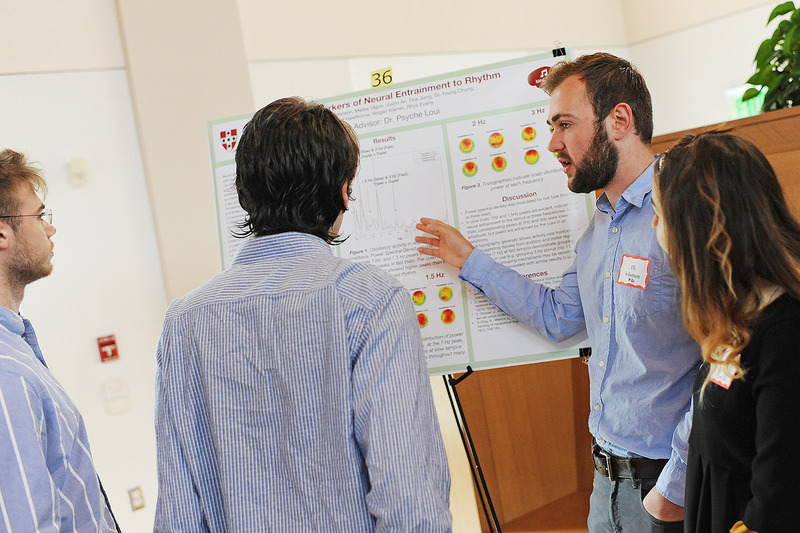 Eli Solomon ’20 shared a group project for Advanced Research in Auditory Cognitive Neuroscience on “Oscillatory Markers of Neural Entrainment to Rhythm.” The advisor is Psyche Loui. 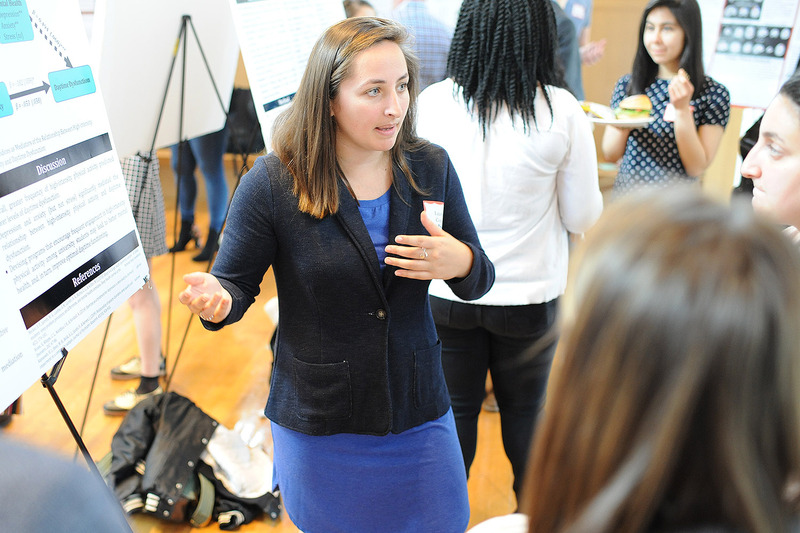 Katherine McClimon ’20 spoke on her study titled “Social Anxiety and Family Relationships: A Qualitative Study.” Her advisor is Sarah Kamens. 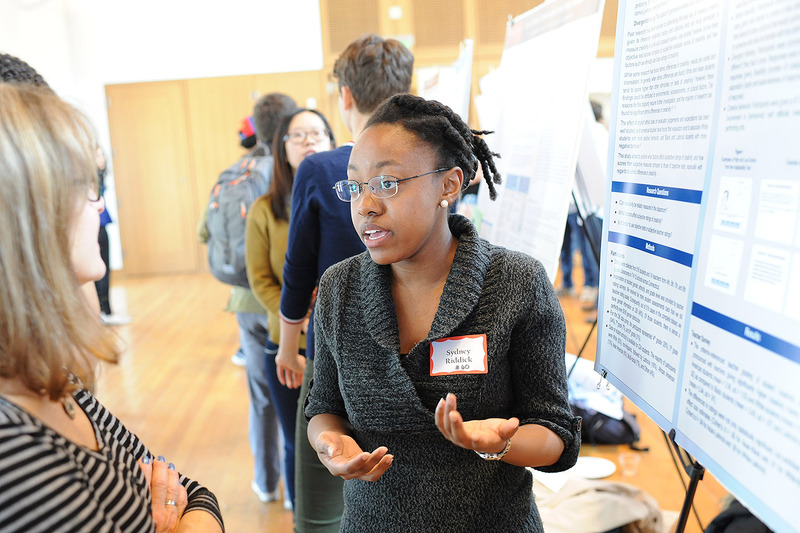 Sydney Riddick ’19 shared her poster titled “Teacher Ratings of Student Creativity Show Ethnic Biases.” Her advisor is Steven Stemler. 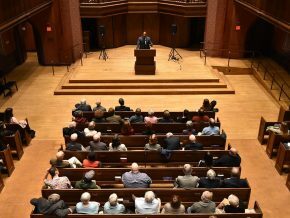 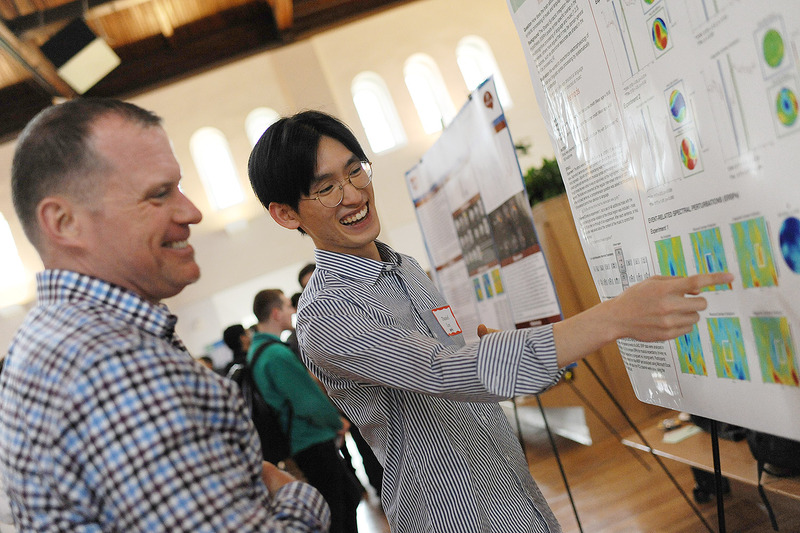 Juho Daniel Lee ’18 shares his research on “Time-Frequency Effects of Syntactic Violation in Music, Language, and Rhythm” with Michael Whaley, vice president for student affairs. Lee’s advisor is Psyche Loui. 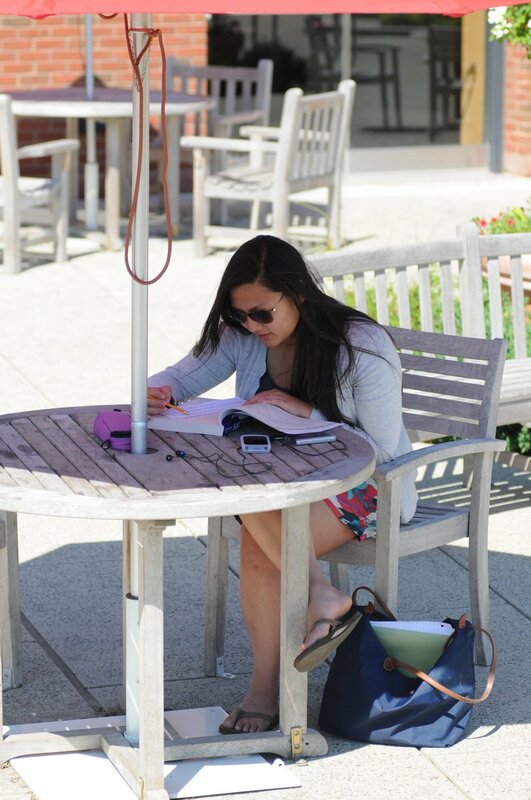 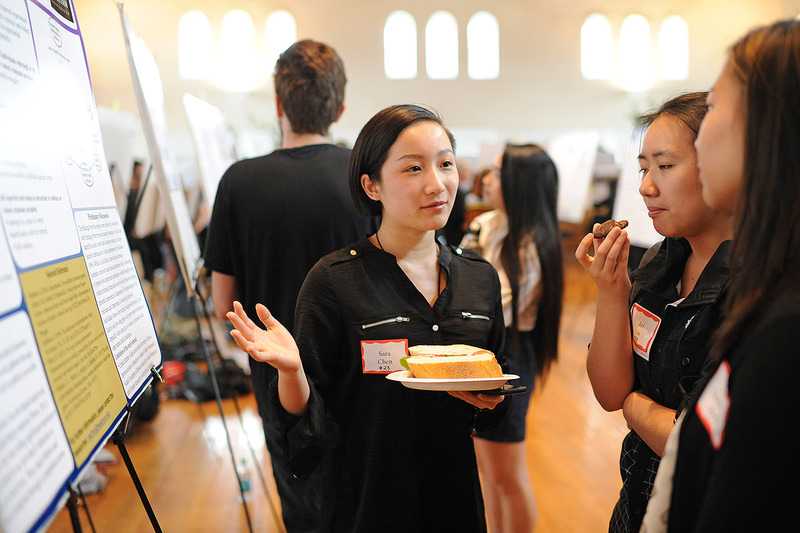 Sara Chen ’20 shared her research on “Attraction to Violence: A Gendered Analysis.” Chen’s advisor is Sarah Kamens. 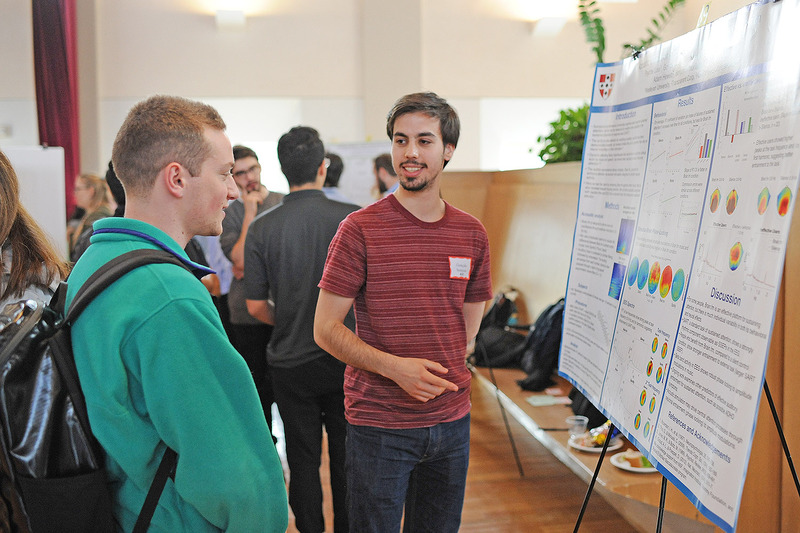 Gonçalo Sampaio ’18 presented his poster titled “Acoustic Effects on Oscillatory Markers of Sustained Attention.” Sampaio’s advisor is Psyche Loui. 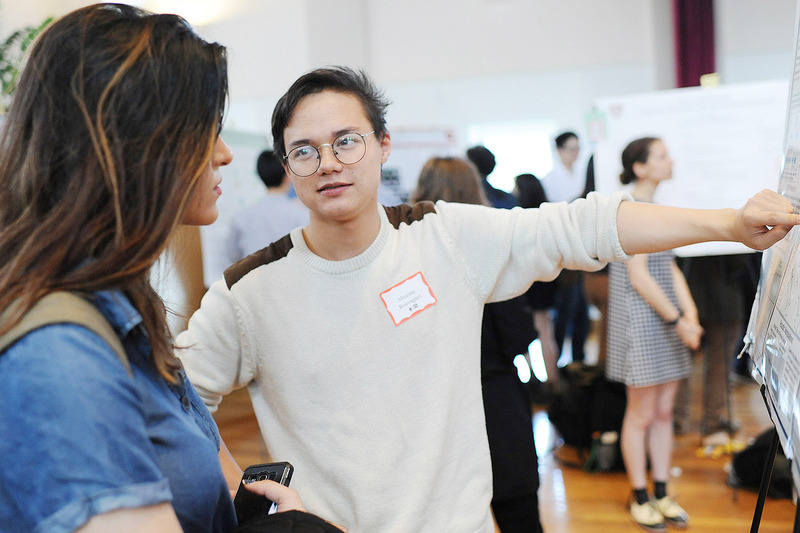 Maxime Bouvagnet ’18 discussed his study titled “The Perception and Cognition of Racialized Voices.” His advisor is Psyche Loui. 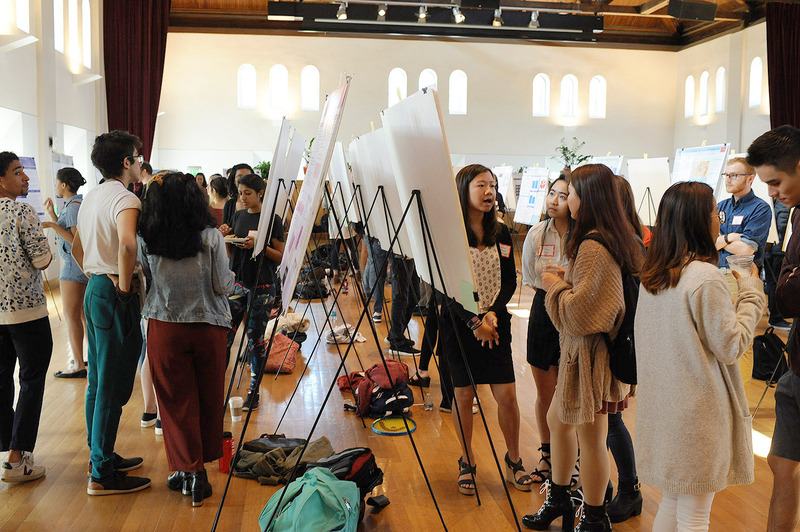 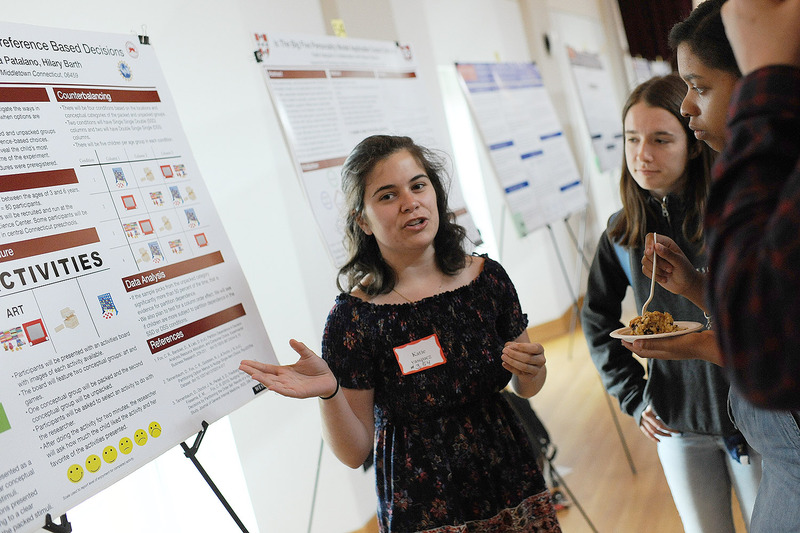 Katie Vasquez ’20 presented two posters: “Is The Big Five Personality Model Applicable Cross-Culturally?” and “Partition Dependence and Children’s Preference-Based Decisions.” Vasquez’s advisors are Hilary Barth, Andrea Patalano, and Steven Stemler. 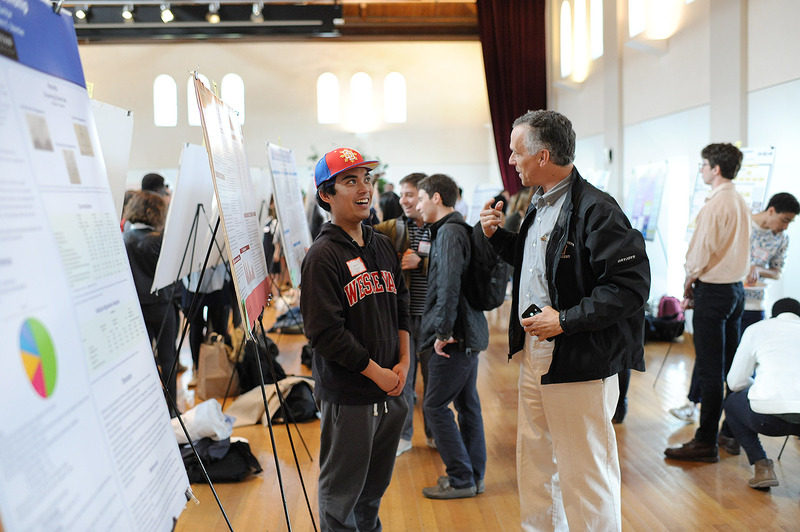 Jordan Legaspi ’19 spoke to President Michael Roth about his poster titled “The Purpose of Schooling: A Longitudinal Assessment.” Legaspi’s advisor is Steven Stemler. 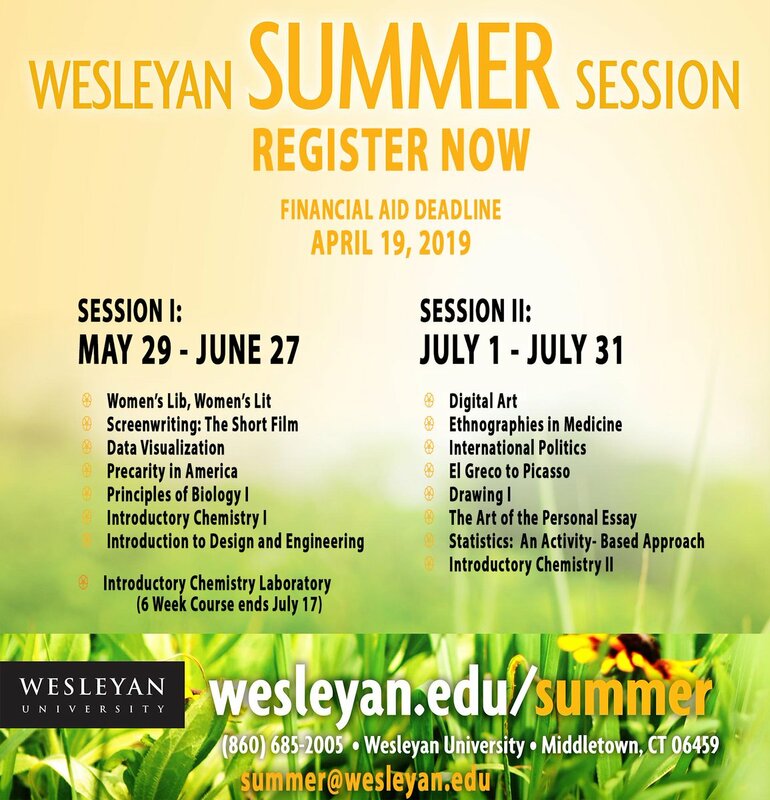 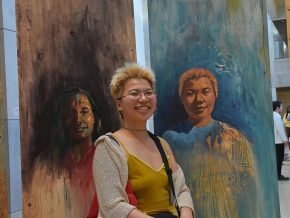 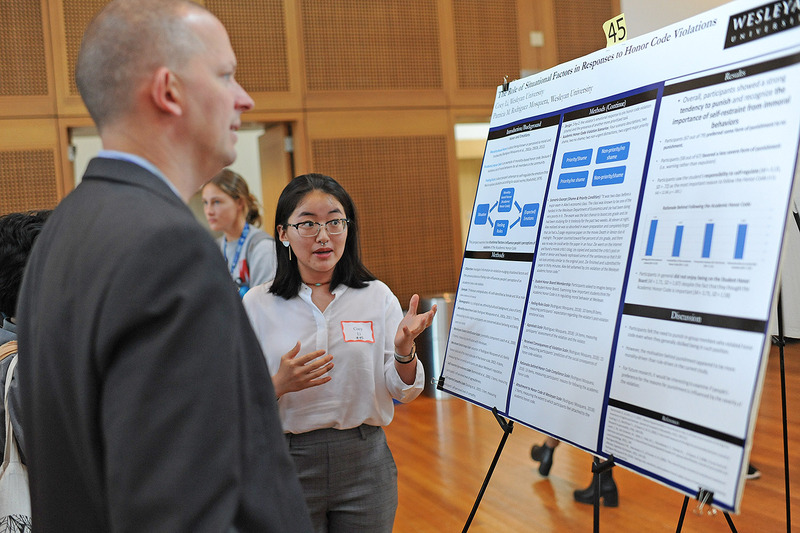 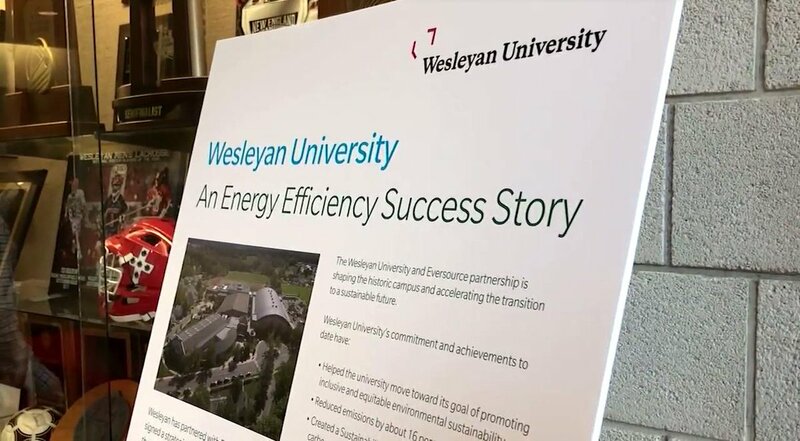 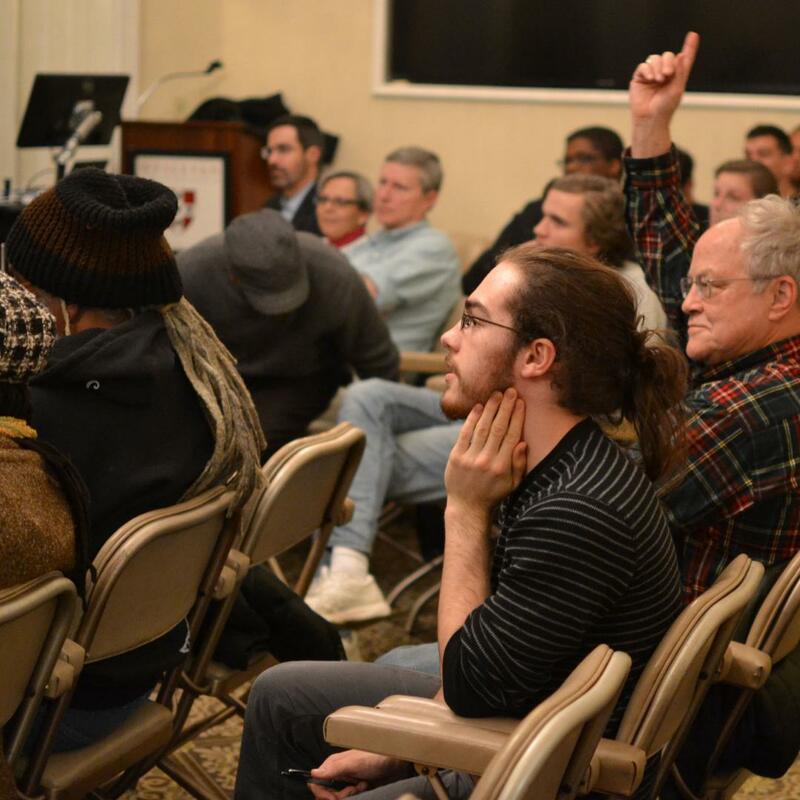 Coey Li ’19 spoke to Professor Steve Stemler about her research titled “The Role of Situational Factors in Responses to Academic Honor Code Violations.” Li’s advisor is Patricia Rodriguez Mosquera.